It’s beginning to look a lot like Christmas… but can we talk about your holiday decorations? Every year, I look forward to the weekend after Thanksgiving with both excitement and trepidation. The neighbors rummage through their crawlspaces, basements, garages and storage sheds and drag out all the Christmas bins. They hang a wreath on the door and lights from the eves. They install the Christmas tree in the front window. By mid-Saturday morning, the yards up and down the street are looking fabulous. Here’s one of my favorite houses in the neighborhood. Note the festive wreaths on the carriage lights and windows. The small swags of greenery on the porch rail and the wreath on the door. 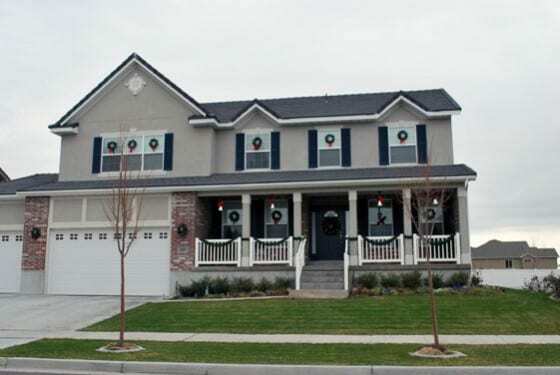 This house says, “We love the holiday season and we thought our decorations through and made a cohesive plan before installation. And also? We refrained from buying out the entire Christmas aisle at Walmart.” This house looks great during the day and also looks fabulous at night, when the tree in the front window sparkles with understated, classy, clear twinkle lights. Now if everyone just STOPPED decorating by lunchtime, all would be well. But no. After a quick lunch break and a trip to Home Depot to stock up on more extension cords, many of the neighbors bring out more bins. 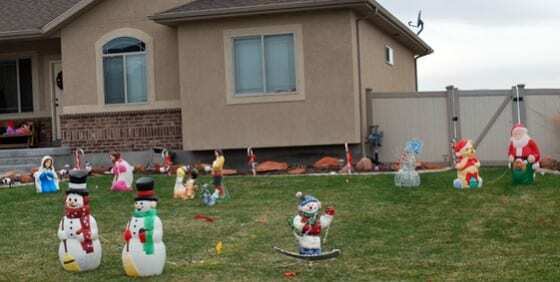 And in some of those bins… are the dreaded Christmas inflatables. There was a time when inflatables only graced the roofs of businesses such as car dealerships, payday loan shops or fast food restaurants. Classy? Not so much. Noticeable? Absolutely. 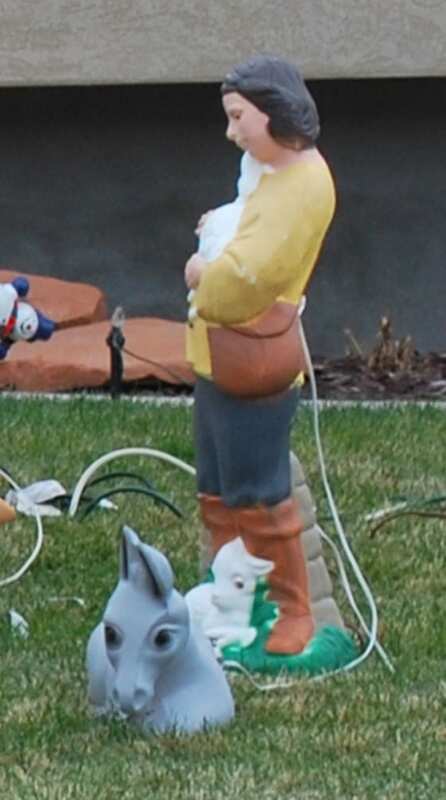 Then someone got the brilliant idea to size these things down from 50 feet to 12 feet and sell them in retail stores so that everyone could participate in the holiday magic that can only be found by installing an inflatable snowman on the front lawn. 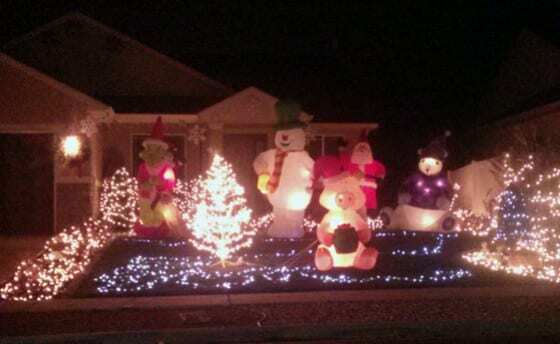 It wasn’t enough to have a 15-foot Frosty the Snowman inflatable. So they added a Santa. Nope, still not enough. Back to Walmart to grab a creepy 12-foot Grinch. Still… not enough. Back to Walmart again to grab a polar bear wearing a sweater and a ski hat. Still… something’s missing. Back to Walmart to get a… is that a pig? A pig wearing a a Santa hat? Yes. Yes, it is. Also, they apparently had some lights left over. 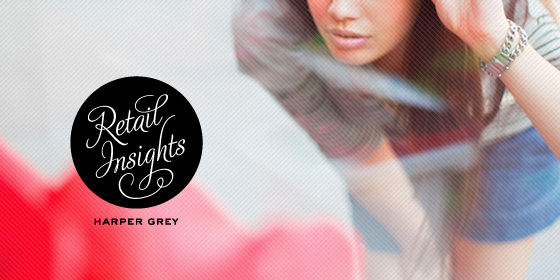 So they just strung them… on the ground. The worst part about the holiday inflatables? When you turn them off, inflatables deflate into puddles of rip-stop nylon. Kind of like the Wicked Witch of the West when Dorothy threw water on her and she melted. Horrific, yes? 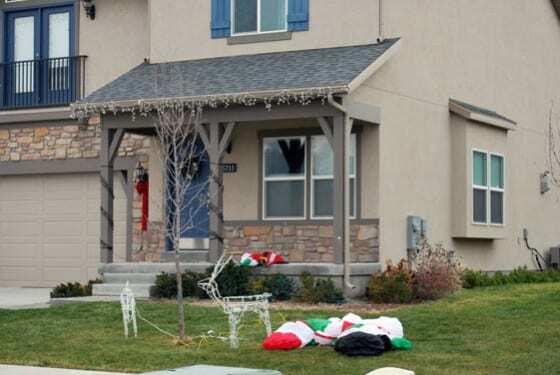 This yard looks a little bit like a holiday crime scene. Looks like a criminal with a lack of holiday spirit drove by and took out Mr. and Mrs. Claus, then capped Santa, who was just hanging out on the porch, waving at passers-by. The wire reindeer, untouched by violence, continue to hang out in the yard, acting as if nothing terrible happened to their inflatable friends. Here, more puddles of brightly-colored rip-stop. I think the thing on the left is a big dog with a Christmas stocking in his mouth. And on the right, a Santa in a sleigh full of presents. That just melted. Nothing says “Christmas in America” like the unique blend of religion and consumerism we’ve evolved. Somehow celebrating the birth of baby Jesus got mixed in with celebrating the ability to buy tons of plastic yard decorations from the box store of your choice. The result is kind of blasphemous. Or at least disconcerting. This yard is another great example of not knowing when enough is enough. First, a nativity scene. The baby Jesus must have either been lost or stolen—He’s MIA. But you’ve got Mary, looking radiant and prayerful. And Joseph, who frankly looks just a tiny bit embarrassed to be wearing a bright pink robe. To the left, the three wise men. And to the right, two angels and a shepherd. Is it just me, or does this shepherd look like Daniel Day Lewis in The Last of the Mohicans? He’s got a weird leather pouch and knee-high boots, just like the Nathaniel Hawkeye character, except he doesn’t have that super-hot, flowing hair. Instead he has a Farah Fawcett feather flip going on. Strange, right? And yes, that’s a tangle of dangerous-looking extension cords, all plugged into one power strip. So, it’s not the classiest nativity scene ever, but you can see where they were going with it. But wait… let’s take a look at the rest of the yard. Apparently three wise men, two angels and a Daniel Day Lewis shepherd weren’t enough guests. Let’s invite some snow men! And Pooh Bear! And Santa with a bag of consumer goods! And, if you look closely at the front porch, you can see deflated puddles that were Christmas Mickey and Minnie inflatables. If you must overdo it, here’s how. Yeah, it’s Christmas gangnam style. I have three things to say about this: 1) It’s a great way to subsidize the local power company during the holidays. 2) I’m really, really glad these guys aren’t my neighbors. 3) I have to admit, it’s a tiny bit addictive. I may have looked at it once or twice when I was supposed to be working…In my defense, I’m not the only one; it’s had over 2 million views. Signs.com encourages responsible holiday decorating and we practice what we preach; we do not have an inflatable Santa on the roof of our office. And we don’t have a single Pooh Bear-themed Christmas decoration. So step away from the holiday inflatables. And leave at least some of that stuff at Walmart; you don’t need to buy and display all of it. Happy holidays!